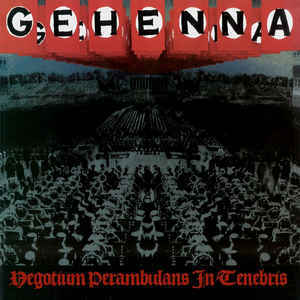 Home › • GEHENNA - Negotium Perambulans In Tenebris 12"
• GEHENNA - Negotium Perambulans In Tenebris 12"
This is the Infamous GEHENNA&apos;s first full length release from 2000. This is pure savage/raw brutality showing the band at their leanest and meanest. Remastered with gatefold packaging/poster insert and bonus track!! !